Kennewick Man, one of the oldest and best-preserved skeletons ever found in North America, is closely related to Native Americans, says a year-long genetic study on the 8,500-year-old bones. The international study, published in the journal Nature, is likely to reignite a bitter legal and scientific battle over the ultimate fate of the skeleton. “Kennewick Man’s genome sequence is closer to that of Native Americans than any other contemporary people’s including the Ainu and Polynesians,” senior author Eske Willerslev, from the University of Copenhagen’s Centre for GeoGenetics, told Discovery News. The researchers from the University of Copenhagen and Stanford University School of Medicine used the latest in DNA isolation and sequencing techniques to analyze the genetic material in the ancient bones. “Although the exterior preservation of the skeleton was pristine, the DNA in the sample was highly degraded and dominated by DNA from soil bacteria and other environmental sources,” lead author Morten Rasmussen said. “With the little material we had available, we applied the newest methods to squeeze every piece of information out of the bone,” he added. Willerslev, Rasmussen and colleagues compared the DNA sequences from the skeleton with those of modern Native Americans. 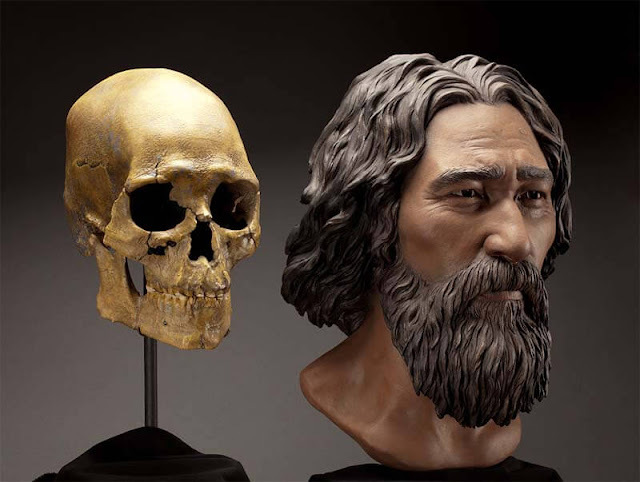 The results challenge a 2014 study that concluded, based on anatomical data, that Kennewick Man was more related to indigenous Japanese or Polynesian peoples than to Native Americans. The remains of Kennewick Man were discovered in 1996 along the shores of the Columbia River in Washington state. He “lived a vigorous life,” according to National Park Service Chief Archaeologist Francis McManamon, who carried the first extensive examination of the bones three years after the discovery. “His stature was robust and remained strong right up to his death at about 45-55 years old,” wrote McManamon. He added that Kennewick Man was seriously wounded in his hip by a spear while still a teenager. “He lived long after recovering from the wound. His hip bone grew and molded completely around the stone point that remained embedded there,” McManamon said. The difficulty in establishing the skeleton’s provenance has prompted a legal, spiritual and scientific dispute between scientists, who want to study the bones, and Native Americans, who claim Kennewick Man as an ancestor and call him the Ancient One. The court battle began with a lawsuit filed against the U.S. Army Corps of Engineers by eight scientists seeking access to study the bones. The agency had jurisdiction over the site where the skeleton was discovered and planned to honor the tribes’ request to repatriate the bones under the Native American Graves Protection and Repatriation Act of 1990. In February 2004, a three-judge panel of the 9th U.S. Circuit Court of Appeals ruled in favor of the anthropologists, concluding that “a significant relationship of the tribal claimants with Kennewick Man” could not be proved. Reburial requests were thus halted to allow further investigation into the skeleton’s origins.